As a stand-alone art form, poetry is and has always been the least lucrative form of writing. Ask any committed poet how he or she makes money, and youâ€™ll receive one of two responses: "I don't" or "in many different ways." A poetâ€™s struggle between making money and plying the art is ageless and intense, often leading to internal conflict over whether the work is too commercial or unreachable by the masses. Countless poets grapple with "the business of poetry"  a term that many consider an oxymoron. Former U.S. 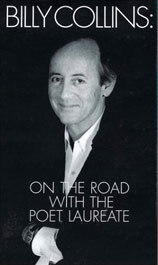 Poet Laureate Billy Collins relied on a variety of promotional activities to finance his work. Former U.S. Poet Laureate Billy Collins is the author of nine collections and creator-editor of the acclaimed Poetry 180 series for high school poetry studies. He has sold several hundred thousand copies of his various works, but he is also a longtime college professor in New York, and each year conducts dozens of readings, keynotes several writersâ€™ conferences, and sits on the panels of others. All of these activities promote his poetry. Until Collins rose to prominence over the past ten years, these activities also helped to finance his work. As Mark Strand, another former U.S. 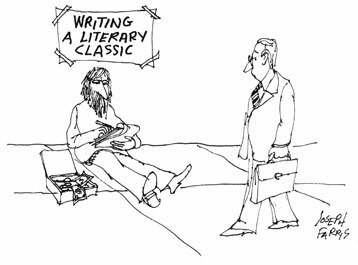 Poet Laureate, noted in the 2007 Writerâ€™s Market, "Nobody makes money from poetry unless they give lots of readings." 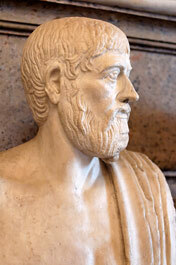 Pindar (above), Sappho, Euripides, and other Ancient Greek poets had to find creative ways to support themselves while writing poetry. 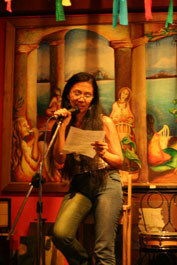 As a stand-alone art form, poetry is and has always been the least lucrative form of writing. The reasons are financial as well as artistic. Since the best Ancient Greek bards mixed music, poetry, teaching, and drama 2,500 years ago in order to justify the courtly lifestyles given them by the nation-state, poets in virtually all civilizations and cultures have resorted to creative multi-tasking to support their art and craft. Before Greece was conquered and united by Alexander the Great, each nation-stateâ€™s ruler employed a court poet, giving those few poets job security. Most of the others, including Sappho, Aeschylus, Pindar, and Euripides, either wrote plays or contributed their verse to plays, feeding the Ancient Greeksâ€™ insatiable desire for theater. They also read publicly in special programs and forums. Greek theater was an ideal blend of dramatic, musical, and poetic arrangement, which, upon closer inspection, was both a financial and an artistic decision. Romans launched the first bookstores, stocking them with hand-printed scrolls or stone-carved tablets. Ancient Roman poets emulated their Greek predecessors and mixed music, drama, and verse while creating a large audience for Roman literature. The mercantile Romans also launched the first bookstores, stocking them with hand-printed scrolls or stone-carved tablets. Taking printed poetry beyond the private shelves of rulers and the wealthiest citizens, these stores enabled the general public to read verse and literature for the first time. The buyers of great libraries  such as Alexandria, Ephesus, and Constantinople  hoarded originals and quality copies, so merchants hired scribes to copy Roman and Greek manuscripts and fill the growing public thirst for written material. It was in the best interest of poets to be prolific, as they received percentages of sales, the first known "royalty" arrangement. The demand for printed poetry  along with the bookstores, many libraries, and countless thousands of scrolls and tablets  went up in flames (literally) when Rome was sacked. 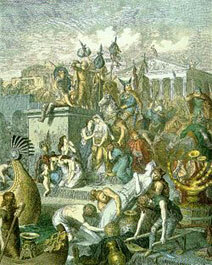 The Holy Roman Empire took over and thrust Europe into the Dark Ages. For ten centuries, poetry became an oral tradition used to spread news beneath the ears and eyes of the Church; only in Persia did scribing continue, becoming an art form. The commerce of poetry skidded to a standstill, not to be revived until a confluence of social awakening, intellectual and creative pursuits, and technology changed the world. 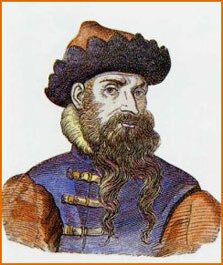 Johann Gutenberg changed the course of history, but it was another century before Shakespeare brought together the printing press and poetry. A Renaissance, a printing press, and Shakespeare. 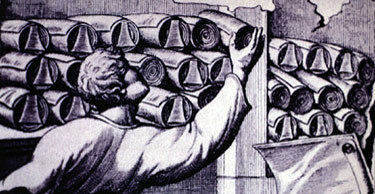 As the 15th century Italian Renaissance began to spread to England, France, and Spain, Germanyâ€™s Johann Gutenberg created a machine that could reproduce original manuscripts. Gutenbergâ€™s press changed the course of history, but it was nearly another century before William Shakespeare facilitated the marriage between the printing press and poetry. Shakespeare, who imbedded his sonnets and verse into theater to redefine drama in the Western world, was perhaps the first to make substantial amounts of money from poetry. As the popularity of verse spilled over to Elizabethan society, countless poets published broadsides – single sheets of paper printed on one side, sold for a pittance – of their sonnets, ballads, and other poems. After reading their works on stage or at public readings, poets sold and distributed their broadsides. Self-published poetry vaulted from the excruciating writing and copying of manuscripts to the formation of a business, fueled by printing presses sprouting up throughout England. During the Elizabethan era, many poets published and sold broadsides, single sheets of paper upon which poetry was printed. 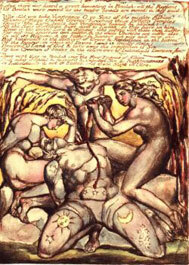 In addition to being a poet and artist, William Blake was a commercial engraver. Even five centuries ago, poets understood that simply writing, binding, and publishing poems was a sure road to poverty. Poets became orators, public readers, advisors to governments, academics, shameless promoters and distributors of their work, and writers for dramatists. All published their own work; some, like William Blake, moved printing presses into their homes to control the entire process. This was no small feat, as printing presses in the late 18th century were the size of small bedrooms and reached from floor to ceiling. 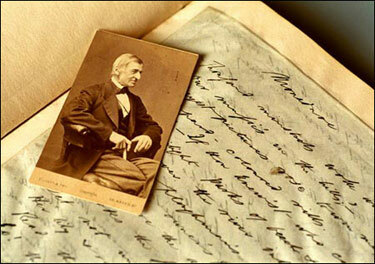 By the 19th century, the road to achieving success in poetry looked much as it does now. With the exception of Goethe and Emerson (pictured above), 19th and early 20th century poets werenâ€™t extensively published until after they died. A glorious century of poetry – sort of. The poets whose well-published and well-anthologized works populate classrooms at all academic levels lived in the 19th and early 20th centuries: Goethe, Blake, the Brownings, Whitman, Emerson, Thoreau, Dickinson, Wordsworth, Byron, Keats, Shelley, the Rossettis, and their peers. Because these poetic giants enjoyed larger audiences than todayâ€™s American poets (whose buying audience, Billy Collins estimates, is less than one-tenth of one percent of the population), the assumption is that they were well published and financially successful. On the contrary, none besides the versatile Goethe (who was also a novelist, essayist, scientist, and commentary writer) and Emerson (who was an essayist and commentary writer) were well published  until after they died. They were all self-published and enjoyed degrees of failure or success commensurate with their ability to find audiences, and to promote and distribute their work. Keats, Shelley, and Byron didnâ€™t live long enough to promote their published works. Some didnâ€™t even get that far; the painfully shy and hermetic Emily Dickinson only lived to see five of her poems published. Whitman self-published many editions of his greatest work, Leaves of Grass, today the largest-selling poetry collection ever composed by an American-born author, but never saw the proceeds. 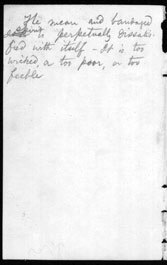 Walt Whitman, whose notes appear above, never saw the proceeds from Leaves of Grass. William Carlos Williams, and other poets and artists gathered at his home, continued the legacy of the struggling poet. 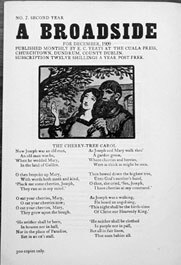 By the early 20th century, the media reflected a skyrocketing appreciation for poetry. Hundreds of newspapers, as well as leading regional and national magazines, published poetry, paying both new and well-known writers for their submissions. Major book publishing houses also jumped into the act, offering poets royalty-only contracts. Still, poets of the first half of the 20th century faced a daunting road, since hardcover poetry collections were expensive undertakings for both publishers and bookstores. 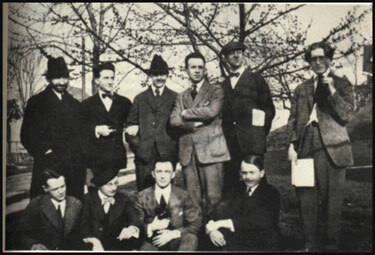 Great poets like William Carlos Williams, Ezra Pound, and Robert Frost continued the legacy of the struggling poet, plying their teaching, translation, and freelance writing skills to support their poetry. Williams had a distinct advantage, however: he was also a practicing physician. In the mid-1950s, San Francisco’s City Lights bookstore was a haven for poetry and controversial titles. The sea change of the 1950s. A sea change emerged in the mid-1950s  and it wasnâ€™t Beat poetry. Rather, it created a distributing arm for the Beat poets, a group who shared a passion for open form composition, worldly engagement, and spiritual understanding. New York-born poet Lawrence Ferlinghetti (A Coney Island of the Mind), then living in San Francisco, opened City Lights, the nationâ€™s first paperback bookstore. A haven for poetry and controversial titles, City Lights stocked several books banned by the U.S. Supreme Court, and published titles that form the backbone of current poetic study – Allen Ginsbergâ€™s Howl chief among them. 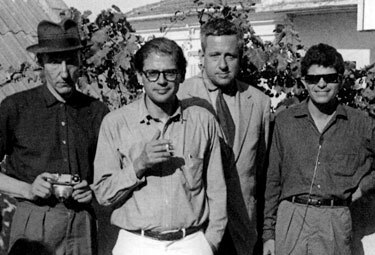 Ferlinghetti scooped up the top Beat poets, all tireless readers and promoters of their work, and created the first contingent of poets who closely resembled published novelists. 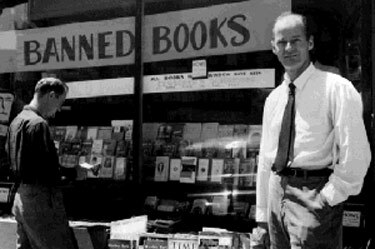 While the lives of the Beats continue to be celebrated, it was Ferlinghetti’s dual business decisions to open a paperback bookstore and become a publisher that launched the modern poetry era we know today. Lawrence Ferlinghetti took Beat poets like William Burroughs, Allen Ginsberg, Alan Ansen, and Gregory Corso, and promoted their work. 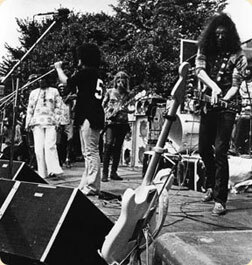 The business and craft of poetry merged when Beat poets performed opening acts for bands like Jefferson Airplane. The shaky marriage between the business and craft of poetry became more solid in the mid-1960s  again with Ferlinghetti at center stage. As the opening act to the band Jefferson Airplane, Ferlinghetti reprised a poet-musician-performing artist dynamic that dated back to outdoor amphitheaters in Ancient Greece. Soon, Michael McClure, Gary Snyder, Gregory Corso, Ginsberg, and others joined a symbiotic collaboration that proved to be smart business for the Beat poets. Their influence on the scene changed from the decade-long flash in the pan that typified most poetry movements to the underpinning of a cultural revolution  with book sales, performances, readings, teaching gigs, and now DVD sets and CDs, to match. In many ways, today’s poet has more opportunities to make money from his or her work than anyone in the rich history of prosody. Myriad venues and mediums have expanded avenues of expression and potential revenue sources. Inexpensive self-publishing or collaborative publishing ventures, along with print-on-demand publishing, enable poets to publish their collections with a minimal investment. Poets with established audiences and reputations can more easily contract with publishing houses, albeit with compensation that is pegged to sales volume. Inexpensive self-publishing vehicles enable poets to publish their collections with a minimal investment. 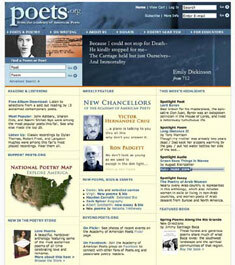 Enterprising poets can promote their work on poetry websites, as well as in poetry magazines, journals, and e-zines. Once published, enterprising poets can promote their work by posting poems on countless poetry websites and linking to their collections. They can also publish selected poems in one of the more than 2,000 American poetry magazines, anthologies, and journals, or an equally large number of web-based e-zines. In addition, blogs and sites like MySpace and Facebook give poets unprecedented and immediate access to a global audience. Poets can also create MP3 files or compact videos to post on personal web sites or YouTube, providing prospective buyers with clips of performed poems. Some poets have even produced mini-readings, offering 15 or 20 minutes of work on video that speaks to the poetâ€™s voice, appearance, delivery, and the depth of their collection. Poets often affiliate or partner with other poets or poetry sites, providing visitors with opportunities to buy their works elsewhere. Never before have poets been afforded a more diverse range of events and sites at which to read. A well-promoted (or self-promoted) poet can read at coffeehouses, libraries, universities, high schools, middle schools, poetry and writersâ€™ conferences, poetry centers, retreats, salon-type gatherings at friendsâ€™ houses, and more. They read poems, sell books or spoken-word CDs, mingle with their current and future audiences, and increase their buyer base, one listener at a time. Never before have poets been afforded a more diverse range of events and sites at which to read. 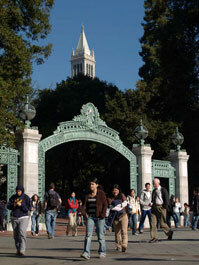 Poets with the ability to teach find work all across the academic spectrum. Teaching gives poets yet another way to promote their work, earn a few dollars, and touch the lives of potential audiences. With educational programs running on shoestring budgets, many schools turn to working writers and poets to visit, teach  and sell their works to teachers and students. Poets with the ability to teach find work all across the academic spectrum, but also teach at learning centers, private workshops, and more. 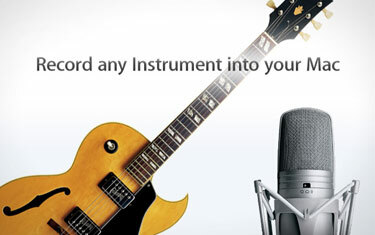 Poet-musicians can pen and perform lyrics with easy-to-use software. Poets with musical talent are at a distinct advantage in todayâ€™s society, which is obsessed with popular music and downloadable tunes for MP3 players, iPods, computers, and cell phones. Musician-songwriters pen lyrics that they can publish and perform themselves using inexpensive computer-based studios and mixing boards, or provide to countless labels and artists looking for lyrics that stir the hearts of their fans.